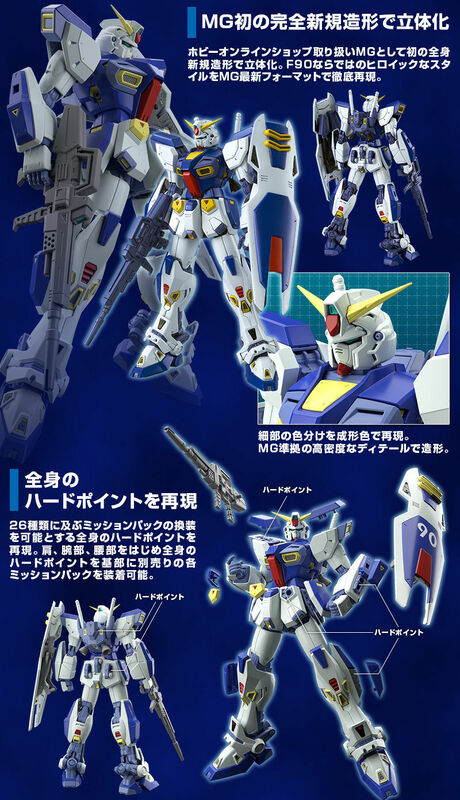 The prototype MS Gundam F90, developed in "Formula Plan" by Sanaly (S, N, R, I), is now available in master grade! Master grade by the first completely new model of the hobby online shop! Reproduce the whole-body hard point that enables the retrofit of 26 types of mission packs. Heroic style unique to F90 thoroughly reproduced in MG latest format. Equipped with mobile gimmick of MG latest format for whole body. Posing expressive poses possible. We adopt 2 axis structure to frame. Flexible upper and lower back and forth movement is possible. The 3-axis structure of the frame reduces the interference area and realizes a wide range of motion. By deployment gimmick of the hatch. The cockpit hatch open state can be reproduced. Each mission pack sold separately can be attached to the base at the hard point of the whole body including the shoulders, arms and waist. 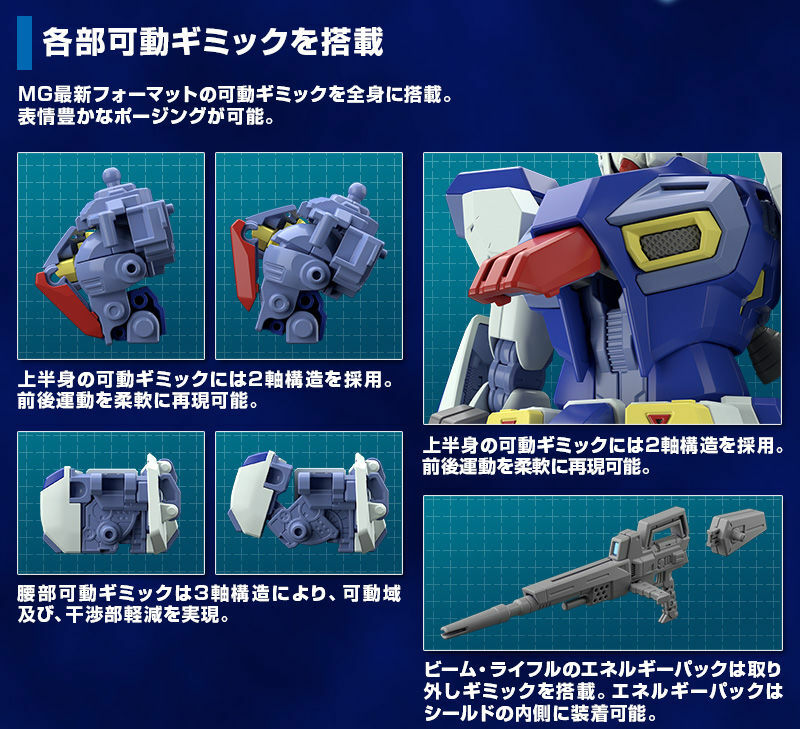 Each type can be reproduced by combining it with each mission pack sold separately. S type of long distance support specification, and E type etc. It can be reproduced in combination with the optional Mission Pack. ● Reproduce the wide movable range. 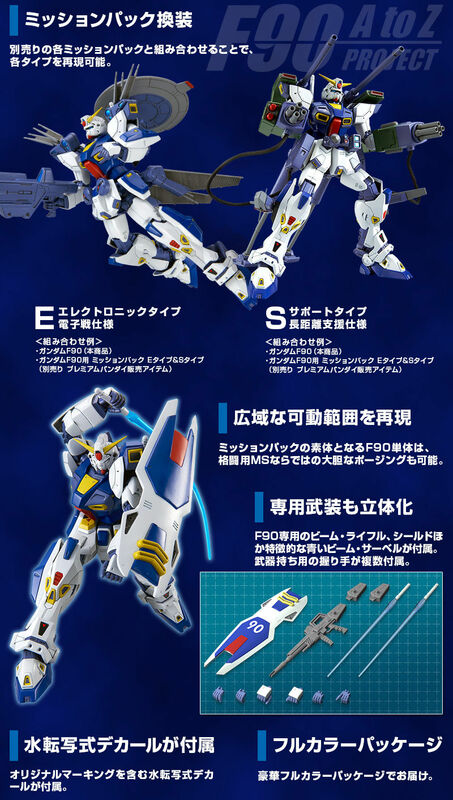 The body of the mission pack, the F90 main unit, can also pose boldly as a fighting MS.
Beam rifle special for F90, shield and beam saber are attached. The energy pack is removable. The removed energy pack can also be installed inside the shield. Delivered in a luxurious full color package. 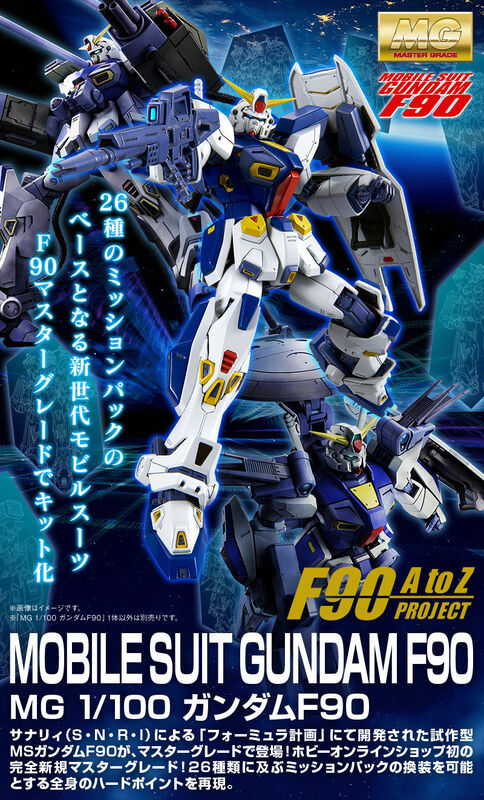 ※ This product includes only one "MG 1/100 Gundam F90". Mission pack not included.